Due to the migration of Boxwood Blight into the areas of Lake and Cook Counties, Illinois, The Chicago Botanic Garden has instituted the following policy. 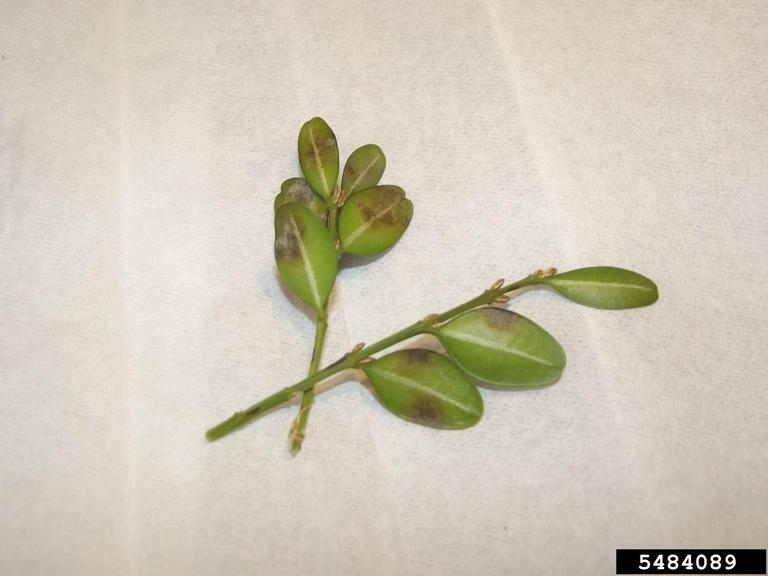 The Illinois Extension Office has confirmed Boxwood Blight in the State of Illinois and specifically as close as Wilmette, IL. The Garden has a large collection of boxwood and pachysandra, therefore there is a new policy at the Garden that no outside vendors, florists, or visitors may bring boxwood onto the Garden property to protect the collections. Please notify your members of this policy. It is greatly appreciated. Boxwood Blight is a fungal Scourge that has devastated the landscapes of Europe. It is incurable once contracted and nearly always fatal to the plant, though it can be managed with very expensive, continuous, anti-fungal protocols. No cultivar of Boxwood is immune, worse yet, some cultivars can act as asymptomatic carriers of the disease giving rise to a "typhoid Mary" scenario. Below you will find 2 attachments thoughtfully provided by the Chicago Botanic Garden, as well as additional links on boxwood blight. The first is a fact sheet from the University of Illinois with general information and instructions on how to gather samples to test your plants for this disease. The second is a thorough examination of the disease from the botanists at Virginia Tech including a breakdown of cultivars by their level of resistance to the disease. Please read both articles carefully, understand their information, and respect the wishes of the Chicago Botanic Garden in this matter. We absolutely must not allow this disease to reach the Garden's collections, including the Bonsai collection and therefore no Midwest Bonsai Society member, visitor, show attendee or vendor should bring any plant materials, sales materials or trees for show that are members of the Buxaceae family, including Buxus (boxwood), Pachysandra (Japanese spurge), or Sarcococca (sweet box).